The abuse of methamphetamine is an extremely serious and growing problem. Although use of methamphetamine initially was limited to a few urban areas in the Southwest, several major Western cities and Hawaii have seen dramatic increases in its use, and rural areas throughout the country are becoming more affected by the drug. 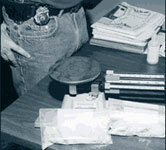 In addition, methamphetamine use among significantly diverse populations has been documented.